In honor of the centennial of Frankie Manning, one of the leading creators of Lindy Hop in the 1930s and its ressurgence in the 1990s, our Lindy by the Sea students worked long and hard learning his Lindy Chorus choreography. Now their efforts are visible on Youtube along with versions from all over the world. "Let the world unite in celebration of Frankie Manning's one hundredth birthday! 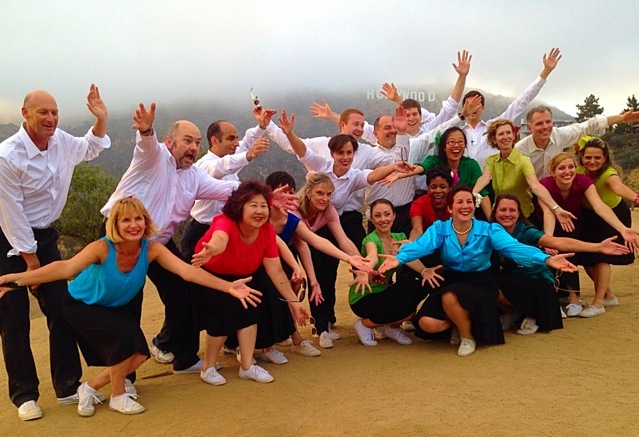 This is a call to Lindy Hoppers around the world to perform and post a video of this dance, in a global tribute to Frankie! Frankie Manning originally choreographed The Lindy Chorus hoping that it would become a part of his legacy and we are pleased to further this part of his legacy by making it the official dance of the Centennial celebrations!" 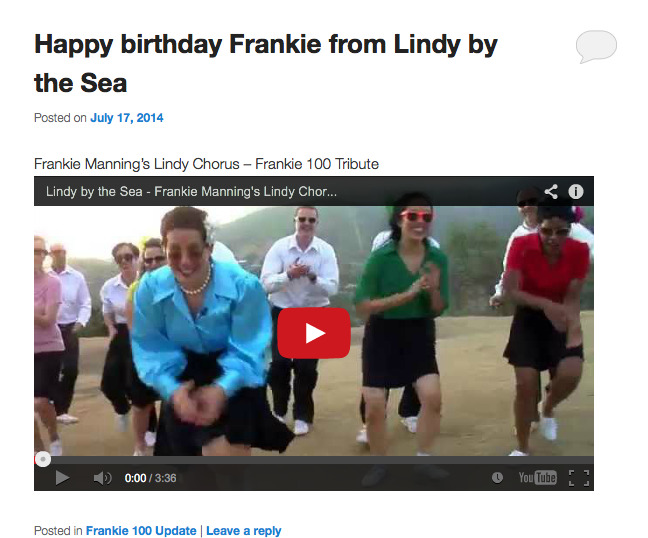 We here at Lindy by the Sea were proud to be part of the Frankie 100 celebration of 2014! SPECIAL THANKS TO David Ahernts who is not a swing dancer and yet offered his time and energy to film and edit this piece. Without him, none of this would have happened. We all thank you!